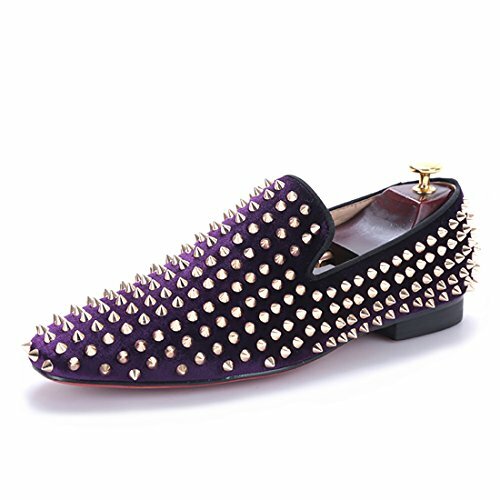 HI&HANN Purple Velvet With Gold Rivets Men Loafers Fashion Party and Prom Loafer Shoes Slip-On Smoking Slipper-12-Purple by HI&HANN at SCRHI. Hurry! Limited time offer. Offer valid only while supplies last. These shoes are custom made,shipping by DHL or China Post when they finish.You usually can reach your shoes within 7-10 days if you choose expedited.